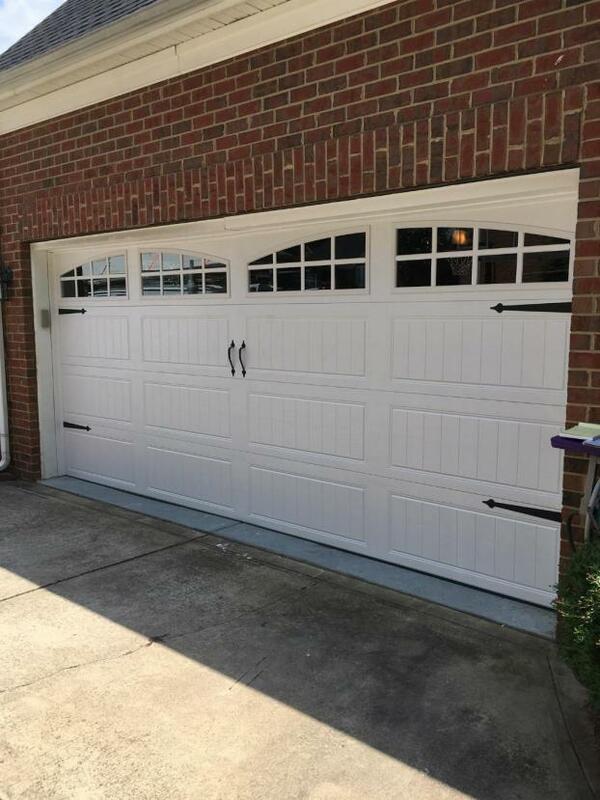 A faux wood install we did in Cornelius NC. Love the look of wood but don't want the cost or upkeep? 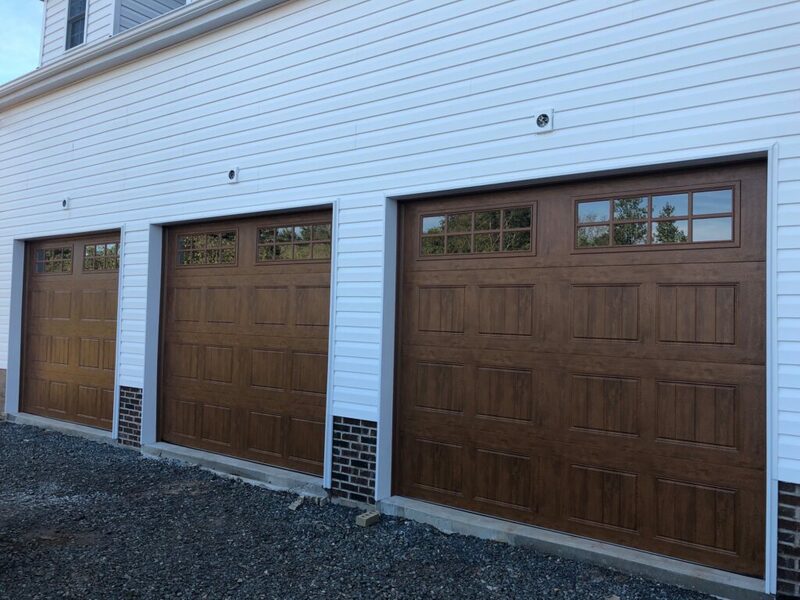 We have many faux wood options available that will make your garage a focal point of your home. Wow. 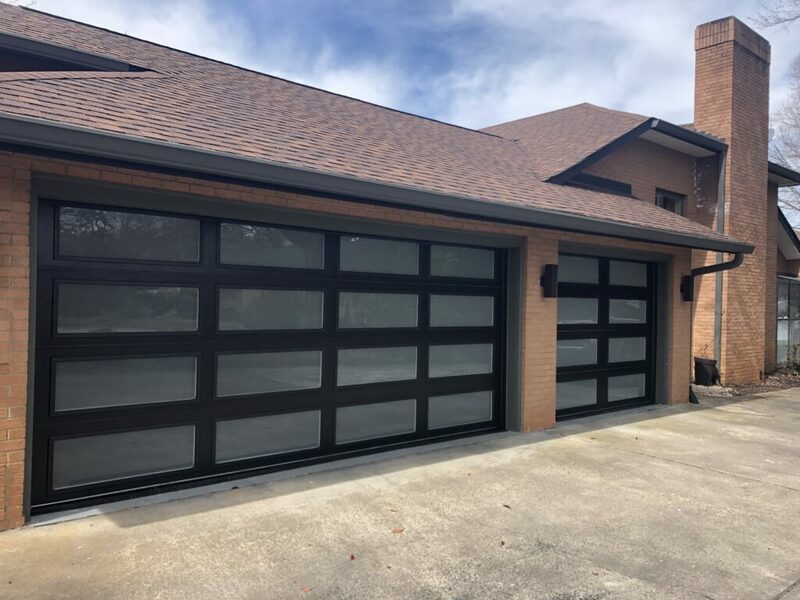 This customer chose Modern Steel Full Vision in a black stucco finish with frosted glass. Beautiful. Decorative hardware is a simple way to give an ordinary door the look of a double carriage style door. 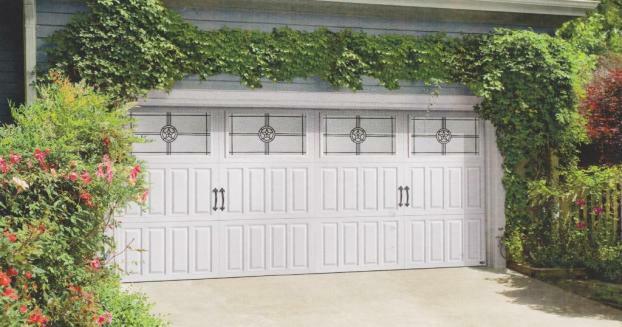 The window panels and decorative hardware add a sophisticated look to an otherwise plain white door. 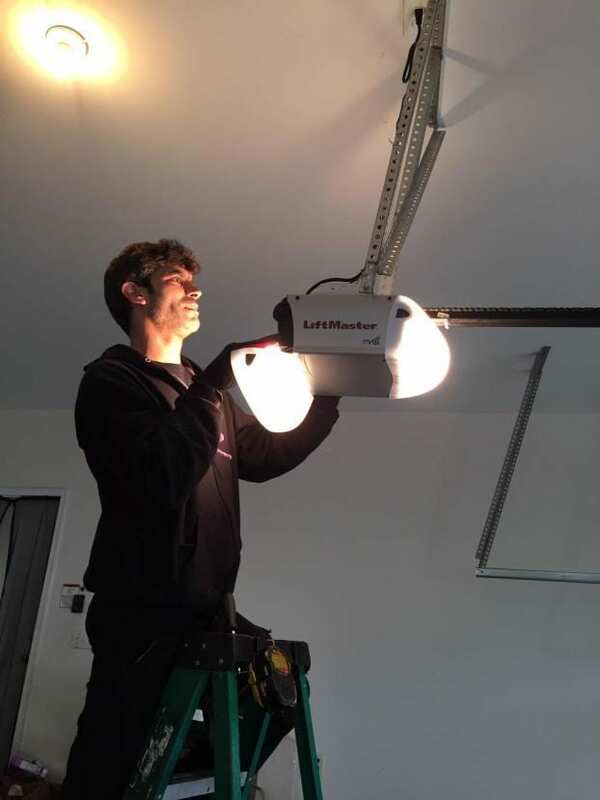 David finishing up a new opener install. We service all types of opener brands. We are a proud supplier of Clopay Doors. Beautiful. Cost efficient. Made in America and made to last. 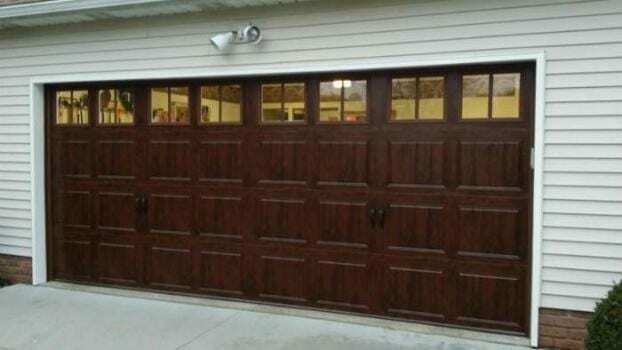 Real wood doors are a thing of the past. Very beautiful but also very heavy, prone to warping and sun damage and very costly to repair. Light weight steel with a faux wood baked on finish. Gorgeous. 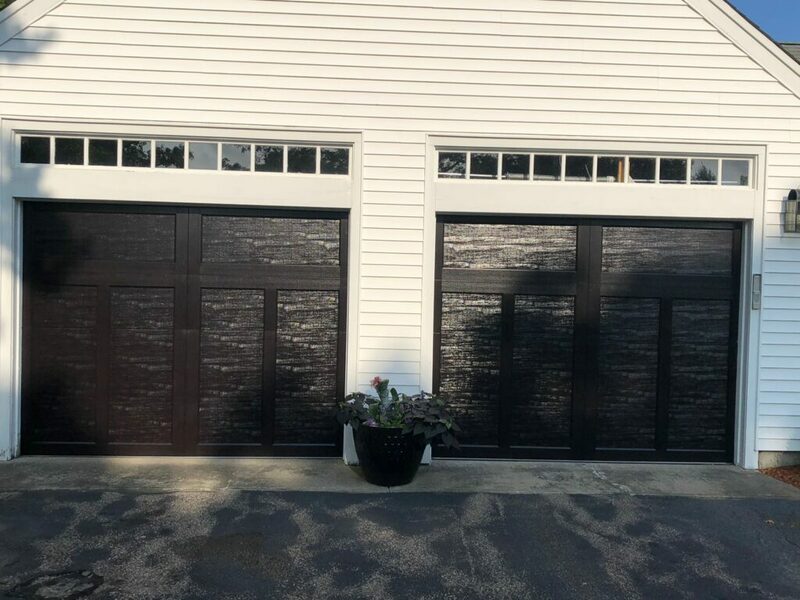 Decorative window panels can turn your garage into a focal point rather than an eyesore. Before and After an off track repair. 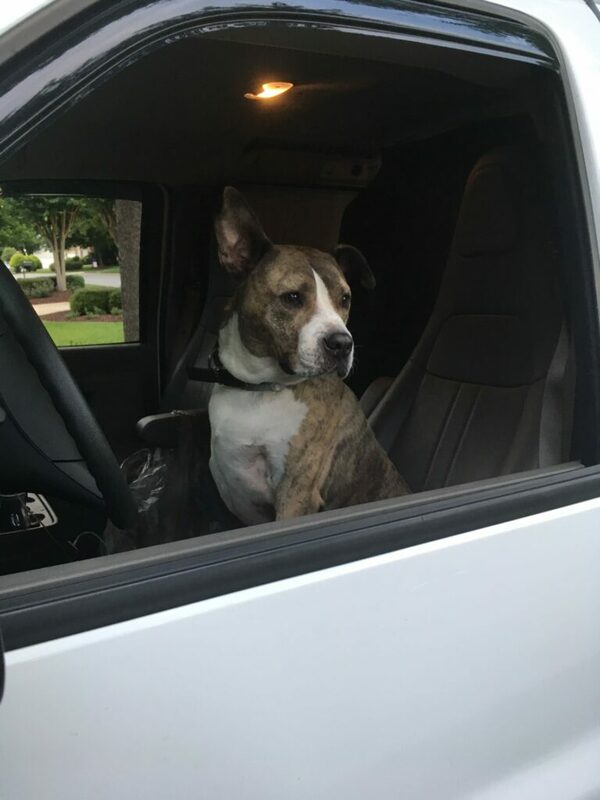 Our most popular technician Tiger. 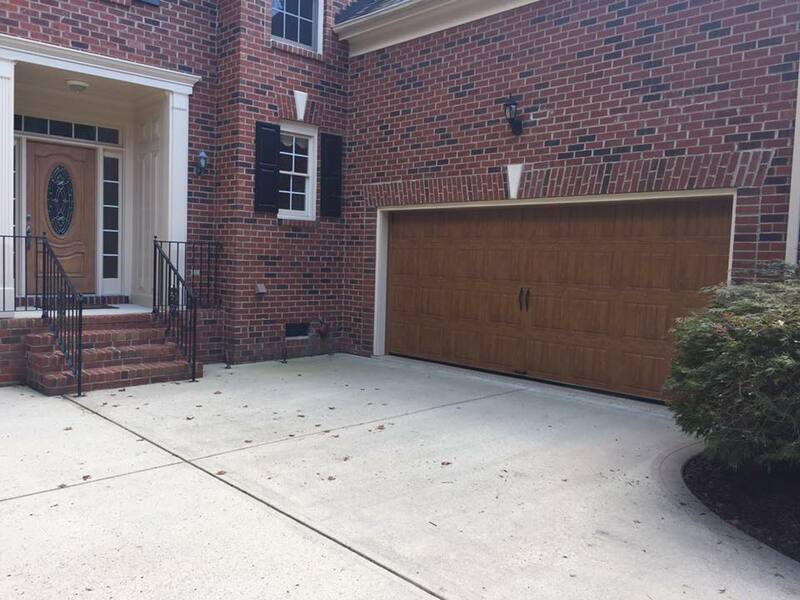 Adopted by D.C. Garage Doors 4 years ago. 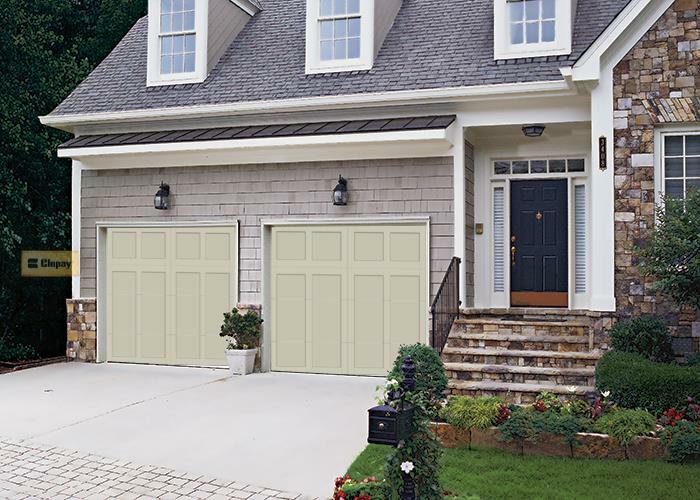 Garage doors don't have to be white. Add some color and curb appeal to your home. 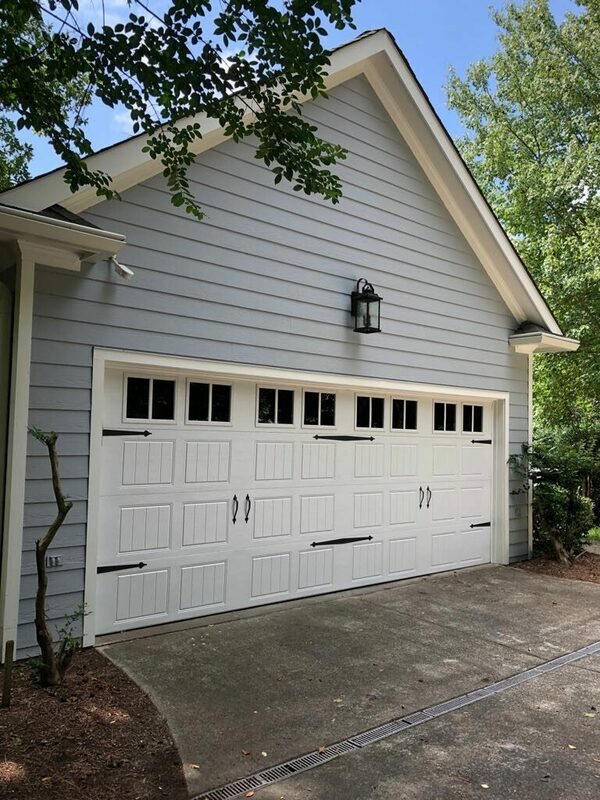 This customer chose to match their garage to the front door of the home.